January 3, 2019 (Atlanta, GA and Minneapolis, MN)— Watkins Associated Industries (WAI), headquartered in Atlanta, GA, has acquired Minneapolis, MN-based Lexington Manufacturing. WAI is a large, privately-held company focused on creating long-term value by building and managing world-class businesses. WAI’s existing lines of business include real estate, food processing, insurance services, and building materials. Lexington Manufacturing, operating out of Minneapolis and Brainerd, MN, is a full-service window, door and structural millwork component parts supplier, providing a wide variety of machining and fabrication services to meet specific customer needs. Both firms are multi-generational, family-owned businesses. The stable, long-term management team at Lexington led by owners Bob and John Dimke and Mike Dillon, president, will remain in place post-acquisition. WAI will partner with this successful team to drive future investment and growth opportunities in Lexington’s core business. 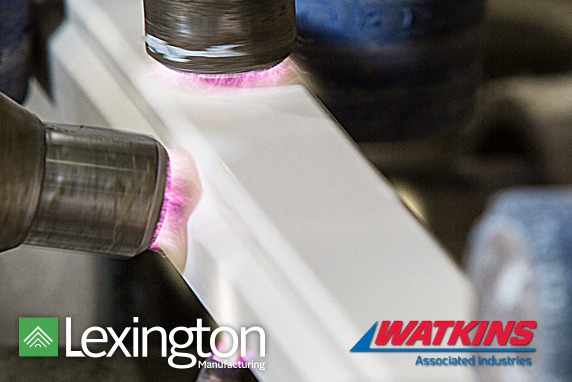 “John and I truly believe that this partnership will ensure that Lexington Manufacturing will not only continue to grow in revenue and market share, but also maintain the family-oriented culture that makes people enjoy coming to work each day,” says Bob Dimke, CEO of Lexington Manufacturing.